I have an app that uses the ASP.NET AJAX Modal Popup Extender for editing data. 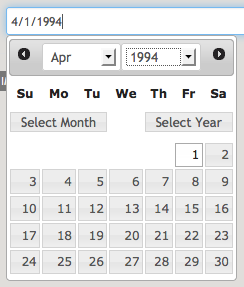 Currently the date field text boxes are using the AJAX Calendar Extender for usablity, but I would like to change these fields to use the jQuery DatePicker UI. However, when I attempt to use the jQuery option, the date picker popups up behind the modal being displayed, making it unusable. I have tried to adjust the z-Index for both the modal control and the modify the jQuery CSS theme's z-Index, but niether fixed the problem. Any suggestions? Actually, we don't suggest you use other AJAX frameworks and ASP.Net Ajax on the same site or on the same page. That is completely do-able, there is one issue however. 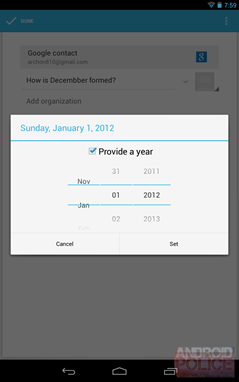 The CalendarExtender controls are using a image calendar as the PopupControlId, instead of the actual textbox it is bound to. When you click on the calendar image the calendar pops, however to hide the claendar you either have to select on a date or click on the image that the calendar is using to pop up. Is there a way to create an "OnBlur" event to hide the calendar if the user clicks outside of the calendar being displayed? It will not conflict with AJAX Framework library the way jQyery use of $ conflicts. Please mark as Answer if it helps u. Thanks! How to Pass Information from Server-Side Code to Client-Side Code in AJAX Control Extender? Problem in Ajax PopUp Modal Extender? how to use ajax toolkit modal popup extender ? AlloyUI is a framework built on top of YUI3 that provides a simple API for building high scalable applications. Zino is jQuery Slider plugin, image and content slider, banner rotator with slideshow capabilities. DefinitelyTyped - The repository for high quality TypeScript type definitions.